Download PhotoMath app for android. 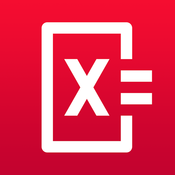 PhotoMath is amazing app for solving mathematics problems and learn the solutions. It works by pointing and taking a photo of you problem, uploading it and after this the app comes out with correct answer. You get step by step solutions for every equation you enter in this calculator. With support for algebra, trigonometry, arithmetics, linear equations, logarithms, fractions and decimal numbers the app is constantly evolving and lets you learn math the easy way. You should note that it supports handwritten text along with the smart camera calculator. To get instant help you just need to follow the straightforward interface full of explanations and get the solved problem instantly presented with beautiful graphs. What is PhotoMath? You can browse media content about PhotoMath on Pinterest, where great images are added every day. Watch how to install and use PhotoMath videos on YouTube. You can also look for PhotoMath app on Amazon Appstore.